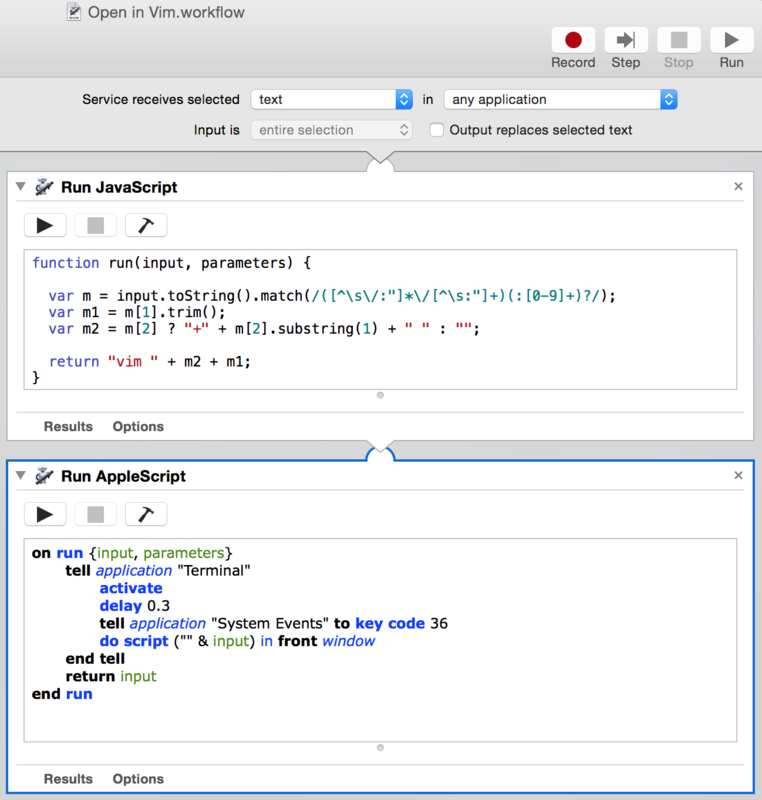 Resque-Scheduler was the first project to combine Resque and rufus-scheduler. When Sidekiq rose, sideqik-scheduler and sideqik-cron appeared. I was happy to see the embargo somehow worked around and a project using some of my work being showcased. I haven't had a look at Resque-Scheduler in ages. I looked at the issues and found one quite recent that could be addressed by me, as a dependency provider. I fixed both issues and released rufus-scheduler 3.6.0 and fugit 1.2.0. I used to say "build it and they will complain", but sometimes, you have to dig to find the those complaints. update: I forgot to mention Que-Scheduler which combines Que and fugit. Thanks again to Harry, its author, for his contributions to fugit. Rufus-scheduler lives in its own thread, keep that in mind when using it on a forking application server. If you're looking for something that leverages the cron daemon, look at the excellent Whenever. This 3.5.0 uses fugit for parsing time strings thrown at it. Fugit is the extraction of the time parsing/representing component of rufus-scheduler in its own gem. Fugit.parse('0 0 1 jan *').next_time.to_s      # => "2019-01-01 00:00:00 +0900"
Fugit.parse('0 0 1 jan *').previous_time.to_s  # => "2018-01-01 00:00:00 +0900"
Fugit.parse('2017-12-12').to_s       # => "2017-12-12 00:00:00 +0900"
Fugit.parse('2017-12-12 UTC').to_s   # => "2017-12-12 00:00:00 Z"
Fugit.parse('every day at noon').next_time.to_s      # => "2018-05-15 12:00:00 +0900"
Fugit.parse('every day at noon').previous_time.to_s  # => "2018-05-14 12:00:00 +0900"
I need a separate time parsing library for flor so I extracted fugit out of rufus-scheduler. Fugit uses raabro to parse strings, flor uses it as well but for parsing process definitions. If you encounter issues with this new version of rufus-scheduler, please report at https://github.com/jmettraux/rufus-scheduler/issues. Two important things behind rufus-scheduler are Time instances with time zones, this is provided by et-orbi and the parsing of time strings which is provided by fugit. Fugit understands cron strings, duration strings, and points in time. They are parsed to instances of, respectively, Fugit::Cron, Fugit::Duration, and EtOrbi::EoTime (the Time instance provided by et-orbi). The fugit cron class provides methods for determining next or previous time and if a point in time matches. Fugit understands the standard cron format (5 entries) and also an extended format with seconds (6 entries). The release of this 1.1.0 is a motivated by a request from the authors of que-scheduler to support cron strings with timezones. I was busy on other (floraison) things and I had forgotten to work on cron strings with timezones. 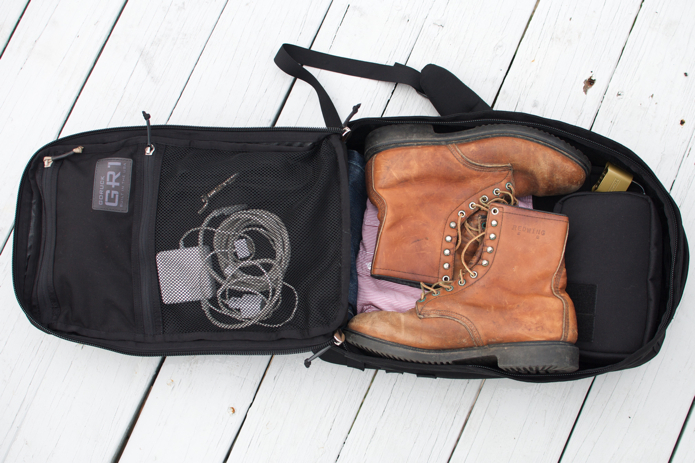 They are necessary, since rufus-scheduler understands them. Fugit has to master them to become the basis of future rufus-scheduler releases. @jmettraux est-ce qu'on pourra avoir un jour un article de blog sur le design de ruote/flor ? :) Je n'ai jamais rien vu d'équivalent. Could we have one day a blog post on the design of ruote/flor? :) I never saw anything equivalent. Flor is a Ruby workflow engine. It is a new iteration of ruote which is now dead. Ou des pointeurs sur l'inspiration, j'ai toujours du mal avec l'exécuteur d'expressions/message, on dirait un design tuplespace/whiteboard. Or pointers on the inspiration, I always had troubles with the expressions/message executor, it looks like a tuplespace/whiteboard design. I pointed at flor's nascent documentation, but, well, that isn't a blog post, it's an index, not a gate. Vu, mais j'ai toujours du mal avec les exécutions, les noeuds et les messages. Il faudrait un exemple concret du début à la fin. Seen, but I still have trouble with the executions, the nodes and the messages. A concrete example, going from start to finish, would help. Tel exécution lance tel message, tel fichier JSON est posé, etc.. :) Désolé si j'abuse un peu, mais ça parait assez magique. This execution emits that message, this JSON file is produced, etc... :) Sorry if I push too far, but that looks quite magical. Flor builds on ruote. I only want to use/discuss ruote's design in order to explain the design and the design decisions around flor. Flor may be thought of as a shrinking of ruote, a simplification. A workflow engine must be extremely robust, at least it must let executions be fixed with relative ease. That shrinking / simplification should go in that way. Benjamin is mentioning among others, those three flor concepts, executions, nodes and messages. There is a flor glossary, it's currently incomplete. Those three concepts deserve some kind of explanation. An execution is an instance of a flow. A flow is a [business] process definition. There can be many executions of a flow. You create an execution by handing a launch message to a flor scheduler. A launch message is an "execute" message. The two main messages in flor are "execute" messages and "receive" messages. The execute messages ensure the buildup of nodes, the receive messages accompany the termination of nodes. Executing it, in other words, creating an execution of it, starts with an "execute" message, with the given flow, translated into a[n abstract syntax] tree, being handed to the flor scheduler. The scheduler will create a temporary component, an executor to run the execution. The executor will consider the initial execute message and create the corresponding node with a "nid" of "0" (root node). The node is a storage artefact, the executor then hands message and node to the "sequence" procedure, where the behaviour of a sequence is determined (execute children 0, wait for its receive message, execute children 1, wait..., when there are no more children, send receive message to parent node). Execute messages build up the execution (seen by the addition of nodes), while receive message are symptoms of the execution building down (usually receive messages go hand in hand with the executor removing nodes from the execution). I write that the executor is a temporary component because it only lives for the time of a session, when there are no more messages to proceed, the executor ends. When new messages show up, the scheduler will create a new executor who will pick up the execution where the previous executor left it (in the database). The vanilla example of a "session" would be, following the flow above, the run from the sequence to its first child, the task emitted to the 'alice' tasker. When the "task" message has been handed to alice, there are no more messages to proceed, the session ends, the executor finishes. Thanks to Asciinema and kinocompact, here is a run of the above flow. When the executions happen, there are summaries of the messages emitted to stdout, I hope it's not too confusing. Here is the first session, where the execution is launched. It ends with 2 nodes (sequence 0 and alice tasker 0_0) and a task handed to alice. There are multiple "tas" messages since the executor discusses with the ganger to determine what tasker should receive this task labelled "alice". I had better call those sessions "runs", as you can see in the logs, that's the word flor uses. ucho 0_0_1_0 exe [_sqs L3] "stage a" m8s7r1>1 from 0_0_1 f.ret "stage a"
ucho 0_0_1 rec [_att L3] hp:_att m9s8r1>1 from 0_0_1_0 f.ret "stage a"
ucho 0_0 rec [task L3] hp:task m10s9r1>1 from 0_0_1 f.ret "stage a"
ucho 0_0 tas [task L3] hp:task m11s10r1>1 from 0_0 f.ret "stage a"
ucho 0_0 tas [task L3] hp:task m12s10r1>1 from 0_0 f.ret "stage a"
The executor ends, its run over, alice has its task. The execution (the sum of nodes) has been saved to the database. As you've seen in the asciinema above, I then return this task to the execution (a "return" message placed in the flor scheduler database). The scheduler notices it, instantiates an executor, which removes the alice task node, sends a "rec" message to the sequence, which then sends an "exe" message to its 0_1 child, the bob task. ucho 0_0 ret [task L3] hp:task m13s_ f.ret "stage a"
ucho 0_0 rec [task L3] hp:task m14s_r2>2 f.ret "stage a"
ucho 0_1 exe [task L4] [_att,[[_sqs,bravo,4]],4],[_att,[[_sqs,"stage b"... m16s15r2>2 from 0 f.ret "stage a"
ucho 0_1_0 exe [_att L4] [_sqs,bravo,4] m17s16r2>2 from 0_1 f.ret "stage a"
ucho 0_1_1_0 exe [_sqs L4] "stage b" m22s21r2>2 from 0_1_1 f.ret "stage b"
ucho 0_1_1 rec [_att L4] hp:_att m23s22r2>2 from 0_1_1_0 f.ret "stage b"
ucho 0_1 rec [task L4] hp:task m24s23r2>2 from 0_1_1 f.ret "stage b"
ucho 0_1 tas [task L4] hp:task m25s24r2>2 from 0_1 f.ret "stage b"
ucho 0_1 tas [task L4] hp:task m26s24r2>2 from 0_1 f.ret "stage b"
The execution run ends as bob received a "tas" message. The execution has been saved to the database. I then return the bob task to the execution with a "ret" message. The scheduler notices the message, instatiates an executor, which removes the bob task node and sends a "rec" message to the sequence 0. The sequence is supposed to send an execute message to its next child, but there are no more children, it's supposed to send a "rec" message to its parent node then. There are no parent node, the sequence being the root node. The execution ends. ucho 0_1 ret [task L4] hp:task m27s_ f.ret "stage b"
ucho 0_1 rec [task L4] hp:task m28s_r3>3 f.ret "stage b"
ucho rec m30s29r3>3 from 0 f.ret "stage b"
ucho ter m31s30r3>3 from 0 f.ret "stage b"
Benjamin, further questions via Twitter, the flor mailing list or the flor chat are welcome. I'll try my best to write a response blog post if necessary. Due to the Rubykaigi 2017, we had paused for two months. We hope to go on with one Hiroshima.rb meeting per month. Furukido-san wrote his own report of the event, he came in late and missed the first two talks though. I went first and presented about methods ending in "ect" in Ruby. More about this and the end of this post. Nishimoto-san talked about his new Safari Subscription. It seems O'Reilly is pushing its customers into Safari subscriptions instead of selling electronic books one by one. Interestingly, videos are part of the bundle and Nishimoto-san got interested in the Clean Code videos made by Uncle Bob. Nishimoto-san concluded with a set of good practices he picked up from the videos he viewed so far. Ishibashi-san went next and presented about the Rails application he built and is managing. He showed us how he is deploying them to Elastic Beanstalk and how he is using Vagrant locally for testing those deployments. Ishibashi-san had already presented about his contact application, but this time the focus was on deployment and management. Guri-san was attending for the first to Hiroshima.rb, he also attended the RubyKaigi. He's currently studying in a technical university, he talked about the technologies he is using, technologies that are taught to him and the ones he'd like to explore on his own. He is building a photo sharing application with a Ruby backend and a Swift frontend. I think he mentioned further applications, but I can't remember exactly. Docker interests him, Nim (shame on me, I think it's the first time I learn about this one), Julia and also Hanami which he discovered during the RubyKaigi. Adam-san had no slides but he was prepared and made a demonstration of Webpacker (may I say it's a frontend to Webpack?). Adam stepped then into using Elm and entrusting its compliation and packaging to Webpacker. We were all very interested in seeing Elm and noticing its resemblance to Haskell. Furukido-san presented to us a list of his favourite gems or at least gems he feels interest for. I was happy to see Sequel in his list, I had just mentioned it in my talk. I too share an interest for Trailblazer, I'm looking forward to see where it goes (I had included a link to a part of Trailblazer in my RubyKaigi talk). As mentioned above, Furukido-san wrote a report about this 58th Hiroshima.rb meeting. At the end of the RubyKaigi, Ando-san and friends organized a cycling tour starting in Onomichi U2. Mitsuda-san was one of the organizers and he presented about his experience of the event. He showed to us a lot of pictures and explained what happened and who took part cycling. Takata-san had arrived a bit late and ended up talking last. He reminded us about the upcoming Open Source Conference 2017 in Hiroshima. He showed us the timetable of the conference. It is very crowded, a whole day with four tracks, a real bazaar. It seems there will be a SciRuby-jp talk (about PyCall if I remember correctly). I presented about [some] methods ending in "etc" in Ruby. I favour collect over map, select over find_all, etc. The end of the talk focuses on a [joke] Ruby gem named ect that adds four "ect" methods to Ruby (well 2 aliases and two trivial methods). There are usage examples for those four methods in ect's readme. Special mention for Ishibashi-san who mentioned Ruby's #respect method. The RubyKaigi Circus came in our good town of Hiroshima for its 2017 edition last week. I was lucky enough to be a speaker, although, initially, I merely wanted to be a helper. My first RubyKaigi was the 2007 edition. Time flies. The RubyKaigi team came to visit Hiroshima around March. They especially visited the International Conference Center. It is very affordable compared to similar offers in the Greater Tokyo. They contacted the local Hiroshima Ruby people and requested for 3 to 4 local organizers, to support them in everything Hiroshima. Thus, Himura-san, Takata-san, Kitadai-san and Nishimoto-san were chosen. At that point I realized that our local Ruby community was languishing and, with the benediction of our benevolent leader Himura-san, I rebooted Hiroshima.rb, we're since trying to meet every month for a Lightning Talk gathering. We had a break around the RubyKaigi, but we start again in October. A few weeks before the conference, the helper staff was recruited, most of the Hiroshima Rubyists got in as well as students from the local tech university. From Tokyo, I was happy to see Paul "Doorkeeper" McMahon, I hadn't met him for 7 years I think. I'm happy to see that Doorkeeper is striving (and used for ticketing the RubyKaigi itself). Paul, thanks for coaching Adam on his first RubyKaigi! The day before the Kaigi a typhoon swept across the islands but, as usual, there was no direct hit on Hiroshima, it passed south. The conference days, right after the storm were thus beautiful. Since I was talking right before the lightning talks on Tuesday afternoon, I spent the first days half-listening, half-preparing my own talk. I favoured the underdog talks (there weren't many of them), that drove me towards the Cosmos room and sometimes the Dahlia room. The honours of the Keynote went to Nobu-san. I remember meeting him 10 years ago. He had told me he is from the Tochigi prefecture that had made me dream about Nikko and the frozen valleys I had visited there the previous winter. The RubyKaigi team assured us that it was one of his first time to speak in public, he did well! The next talk on my list was Mapping your world with Ruby, about SafeCast, an invaluable system in our Fukushima days. TextBringer is a text editor named after Stormbringer. I love it when a developer takes a piece of wood and carves an essential tool out of it, I love it when developers write text editors. The Gemification for Ruby 2.5/3.0 was very interesting. In reverse, sometimes I'd love to have Concurrent-Ruby integrated in the standard library, but that's not my business. Spring is gone, but it was still time for Hanami. I said hi to the speaker and got my sticker, I will give it to daughter #1. The Goby talk was nice. Ruby certainly is an inspiration for many languages, we need to update the genealogy tree. Kudos to Stan. I skipped the "Ruby committers vs the World". I also skipped next day's keynote. My second day started with @yhara-san's talk about Ruby, Opal and WebAssembly. The presentation featured two or three in-browser demos and the slides were fun to follow. I then attended What visually impaired programmers are thinking about Ruby? by local organizer Nishimoto-san. His conclusion indicated that Ruby fares not that bad. He took us in a world of braille terminals and screen-reading tools. Text is king, visual programming must be quite out of question. My eyes get hammered every day, I might become an old programmer that is visually impaired and that is making me think. Asynchronous and Non-Blocking IO with JRuby was a solid talk. The glimpses shared about the working of the JRuby team were very interesting. The next Cosmos talk, Food, wine and machine-learning, filled the room. I got mislead by the "teaching a bot to taste" subtitle, it was rather "teaching a bot to match food and wine". Tasting wine is so subjective, friends make the wine great. It was then time for my talk, see below. The lighting talks were wonderful. I have to say that I dream of a Regional RubyKaigi made up only of lightning talks, delivered quickly in Japanese or English or plain Ruby, punctuated by espressi. The next morning, I had to release a piece of software for a customer and couldn't attend to the first volley of presentations. The talk by Tagamori-san, Ruby for distributed storage system, was exciting. I like what Treasure Data is doing and I especially follow digdag among all their tools. What I like about the next presentation I attended to is its demonstration of a combo that, I think, works wonders: the Ruby guy and the Business guys. I am not thinking technical co-founder and business co-founder, I'm simply thinking about the business team/line and its weaponsmith. Ruby unceremouniously and concisely involved in the tools to achieve business goals. Ruby in office time reboot. I then had to leave the RubyKaigi to go and welcome my parents who were visiting for two weeks. All the talks and presentation materials are available directly from the RubyKaigi 2017 Schedule. That'll let me catch up on what I missed and what I misunderstood. Right before the Lightning Talks, I gave my flor talk. The video is on the right. The Cosmos room was packed for the previous talk and most of the people left after it ended. I could have talked about rufus-scheduler but I think there's nothing interesting in a long history of maintenance and slow rework. It's used here and there, the star count goes up, people complain, I fix things the best I can. The only thing I could talk with some passion is flor and my hubristic quest for a workflow tool that'd made sense to me. I decided to have some 20% of my time spent in "flosh", the flor shell, to show the operating system nature of flor and that went OK. I had asked Nyoho-san to present me. Generally RubyKaigi organizers were presenting the speakers but sometimes non-staff people did the presentations. I wanted to have an organizer and especially a local organizer doing the introduction. Ishibashi-san lent his Carp cap to Nyoho-san for him to deliver his introduction flawlessly. Unfortunately Nyoho-san doesn't appear on the video. Flor is an interpreter for a funny language that is somehow Lisp-like. It's slow, but fast enough, especially when driving human's work flows. I try to build it as an operating system for business processes. 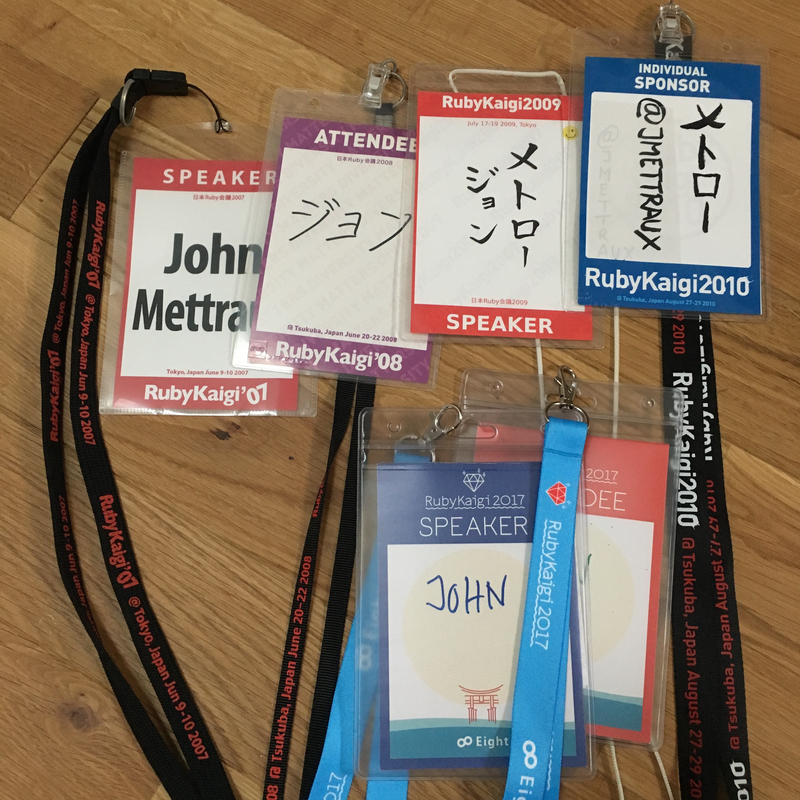 I was torn between "hey, it's a RubyKaigi, you have to talk about something tightly Ruby-related" and "whatever, it's Ruby-related and I'm passionate about it". Not sure if the passion helped. I think I missed the chance to show that Ruby is great for concisely implementing the tasks that make up a business process, and that flor is merely tapping into that greatness. I am still nostalgic for flon, the C prototype to flor. Tiny servers driving business processes among shellish taskers. There was one gentleman in the crowd with a Carp cap and t-shirt, I wanted to thank him for flying the local colours but I got diverted by questions. I was happy delivering this speech. I hope it wasn't too boring. It motivates me anyway to go on developing flor. Many thanks to Matsuda-san, Kakutani-san, Aki-san, Himura-san, Takata-san, Kitadai-san and Nishimoto-san. And to Paul-san, Adam-san, Mitsuda-san, Ishibashi-san, Ando-san and Furukido-san. Thanks also to the GetHiroshima people for supplying the RubyKaigi with their guide and their map to help foreign visitors navigate through Hiroshima. Yesterday, Nishimoto-san explored chruby and wrote a blog post about it: https://ja.nishimotz.com/chruby. I like how he went further, installing a Ruby version manually, placing it in /opt/rubies/ruby-2.4.1 so that chruby sees it and then tasked himself with installing the Yard gem for this new Ruby. My next step after installing a Ruby is to do gem install bundler and then I don't touch gem much, except when pushing a Ruby gem out (I have gem build and gem push wrapped in a make push at that point). Thanks to Nishimoto-san for this post, full of hints. This second iteration of Hiroshima.rb once again took place at the Basset Café. We were eight and each of us had to present, a lightning talk or simply a few words. Bussaki-san presented about pycall and showed examples of it wrapped in a Jupyter notebook. This PyCall looks very interesting. It bridges Ruby to powerful Pyhton libraries like NumPy, seaborn, etc. Mitsuda-san showed us how to run Jupyter Docker images with Python and Ruby enabled. He then proceeded to show us a few Ruby quizzes exposed in Jupyther notebooks. 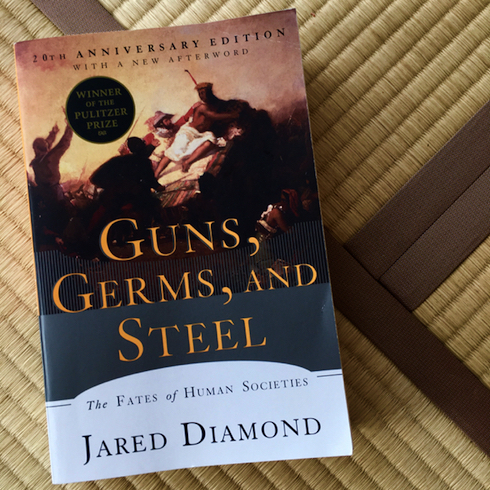 He had already presented about this subject during the last Sugoi Hiroshima with Python but at that point, hadn't explored Ruby in the notebooks. Kitadai-san built a Sinatra service interfacing one of Hiroshima's universities CMS system. He was a bit puzzled because only HEAD requests came through to his Sinatra service, GETs and POSTs were nowhere to be seen. Interesting investigation ahead. Nishimoto-san had presented about a Disco challenge during the last Sugoi Hiroshima with Python. He showed us a solution to the question two of that challenge, but this time in Ruby. (Here are two of my solutions to this challenge). Ishibashi-san presented us an application he's building based on Ruby on Rails. Employees of his company access it via their iPads to receive assignments. Those assignments are controls and repairs to perform for customers. Once the assignment is done, the employees report completion once again via the iPad (and the Ruby on Rails application). Ishibashi-san also presented the book series he learns Rails from, it's the Ruby on Rails series from Kuroda-san. Interestingly, this author is now also writing about Elixir. Adam-san taught us about Ruby's Enumerator. He recapitulated the methods provided by this class. It had a nice overlap with the techniques presented by Nishimoto-san for his programming challenge. Takata-san, as one of the organizers of the upcoming RubyKaigi 2017 is currently listing all the restaurants at walking distance from the conference center. He showed us the tools he's using in his data gathering endeavour. Since Kitadai-san recently attended a presentation by Garr Reynolds, the author of Presentation Zen, he stood up and talked about the things he enjoyed and learned during this presentation. Mitsuda-san initiated a comparison between Presentation Zen and the Takahashi Method, but Kitadai-san told us that Garr Reynolds advocates storytelling and is putting back light on kamishibai as a way of presenting. View all the tweets tagged #hiroshimarb. At the end of the deck, I'm giving pointers to 12factor.net /ja/, runit and providing a quick configuration example for a Nginx reverse proxy to put in front of that service. I got an Arduino Nano clone for ~ USD 3.5 and attempted to connect it to my OSX Yosemite laptop. 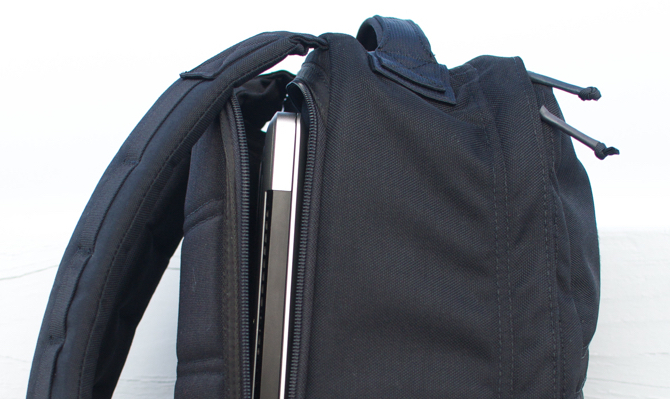 At first, no lights, my micro-USB cable was dead. Found another one and the Nano lit up. But the Arduino IDE was not seeing the board. I was only seeing the USB modem serial ports in the selection. After various tries downloading and installing the ch34X driver, I could talk with the board, but had random kernel panics. and it then worked flawlessly on my Yosemite OSX, with the cu.wchusbserial1410 that appears when the Nano board is connected. 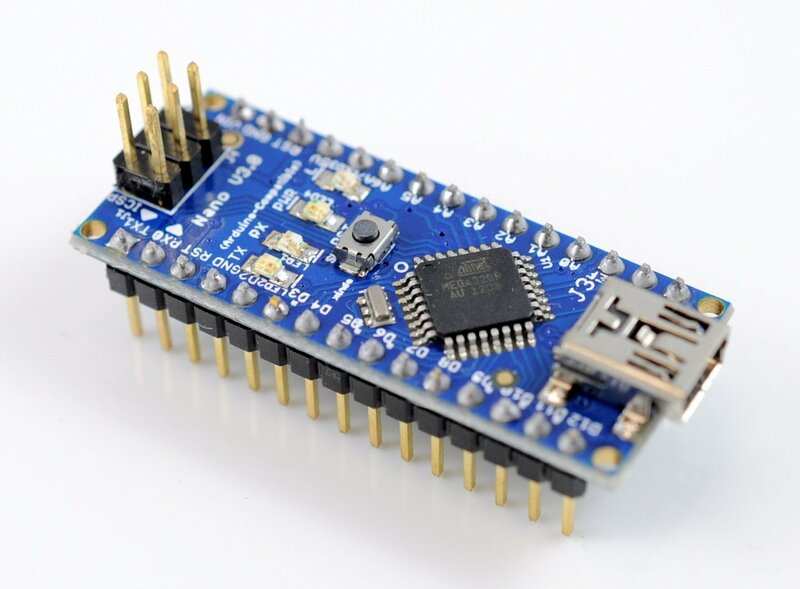 The Arduino IDE is nice and all, it provides access to a wealth of libraries and example, but a Vim person like me was soon feeling slowed by the editor. You still need the Arduino IDE around, but you can use an Arduino-Makefile to stay in the command line. At first, I tried to work with this Makefile following in the instructions behind the link in the project description, but that was an error. Following the project readme is the path to the success. and uploaded it with make upload, hit the serial console with make monitor and was able to turn the LED on with a 1 and off with a 0. My small start project is at https://github.com/jmettraux/serial_blink. I try to work with the keyboard with as little as possible trackpad or mouse gesticulations, but since I'm "contemplating", my rhythm is already lost. So I allowed myself a right-click service. 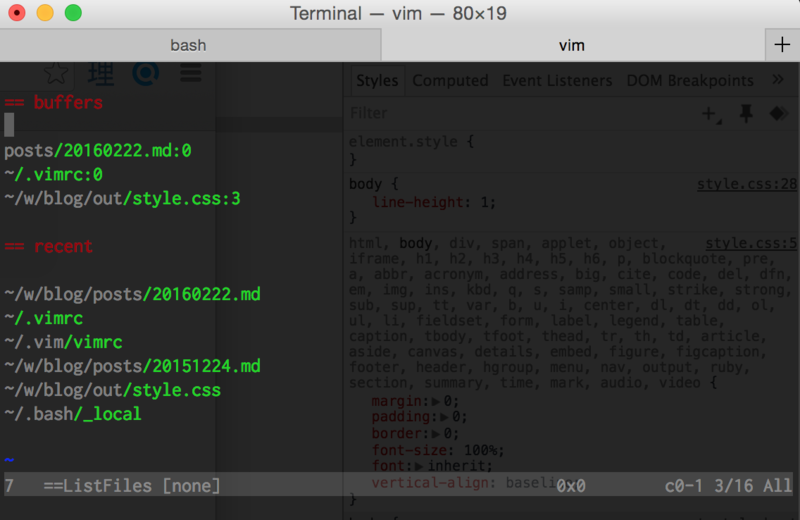 I double click on the target line in the Terminal.app, right-click then select "Open in Vim" in the contextual menu and it opens the file at the "colon" line for me. How does it look like behind the scene? The service has then to be bound from the System Preferences / Keyboard / Shortcuts. 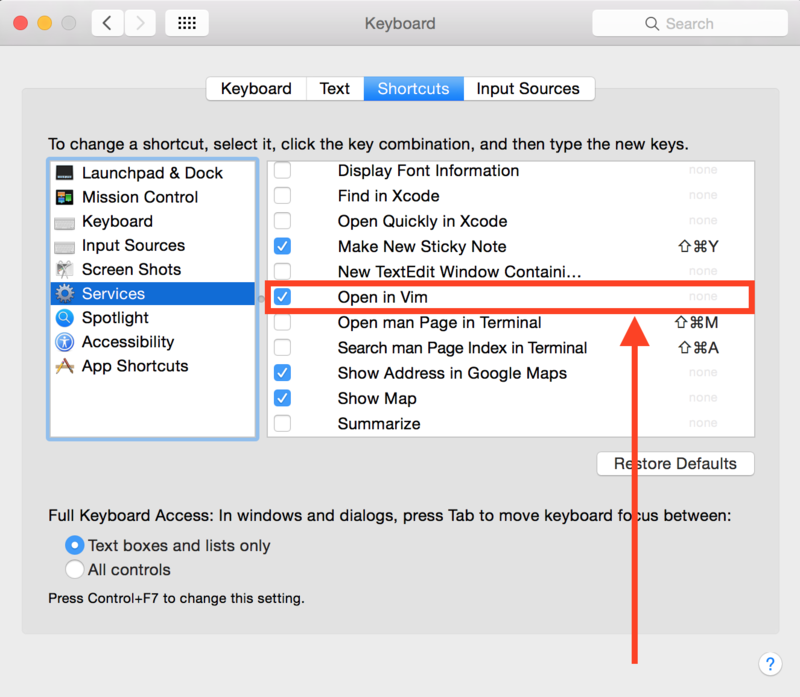 One could even tie a keyboard shortcut for it from there. 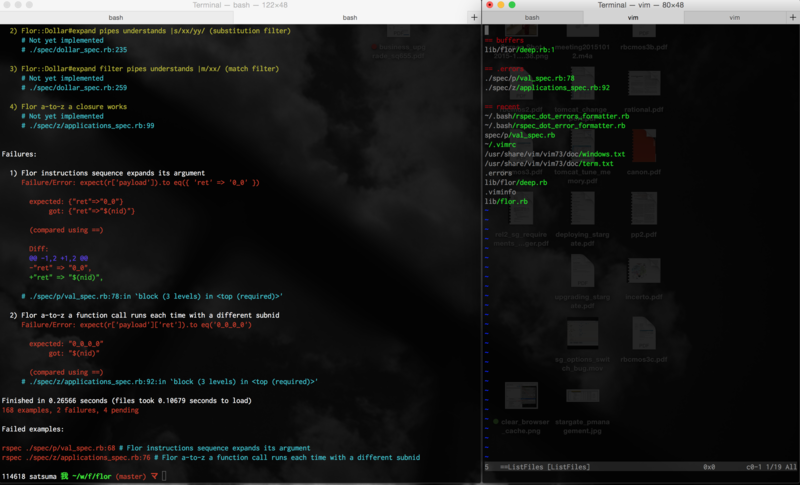 For those of you using iTerm2, here is a post by Luca Guidi on how to do it: "Click on stack trace to open a file with NeoVim". Made Applescript wait before running the vim +... script. The code that is here for debugging immediately stands out. I can easily locate it with the /^p regular expression as well. Example taken out of et-orbi. Why the jump from 3.2.x to 3.3.x? It's because of a mistake I made: I was relying on ENV['TZ'] to get timezoned Time instances. It works fine and cuts the dependency on the tzinfo gem, but when you're working with multiple threads and one is setting ENV['TZ'] to Europe/Helsinki while another is setting it to America/Houston, both might end up with Time instances in Houston or Helsinki. Chaos. This rufus-scheduler 3.3.0 brings back the tzinfo dependency and uses it to support its Rufus::Scheduler::ZoTime class. Instances of ZoTime quack like if they were Ruby Time instances but keep their zone as an instance of TZInfo::TimeZone. Should problems appear after an upgrade to 3.3.0, please fill a clear and detailed issue at https://github.com/jmettraux/rufus-scheduler/issues. This ENV['TZ'] problem was pointed out (gh-220) by Musha Akinori. Many thanks to him! A new feature made it into this 3.3.0, it was requested/contributed by Piavka in gh-214. It's a Rufus::Scheduler::Job#trigger_off_schedule method. It lets you trigger a job, off of its schedule. If, during the off schedule run, the job is started "in schedule", overlap settings kick in. Off-schedule or in-schedule, calls to Job#running? will return true. It has its uses with repeat jobs. This release also contains two fixes. One for .parse_to_time vs Date instances (gh-216), thanks to Nicolás Satragno. And one for "day 0 cronlines" (gh-221), thanks to Ramon Tayag. I then went further and switched to software patterns and the well known Elements of Reusable Objected-Oriented Software, from there I shew two further books but then switched to the origin of the patterns in the Pattern Language movement (some say "permatecture"). Some people with only peripheral knowledge of programming think that only the GoF book exists and that quizzing a programmer about them is a valid "interview" technique. Some of the patterns in there are object-oriented language specific and when you dwell back in functional programming (back from computer techniques into science), those patterns are gone with the wind. The patterns in the books beyond that book are more important. Here are the slides, they are rough, they were only pillars to my talk. The building picture are from the Eishin Campus that Christopher Alexander with and for the teachers and students there. My rucksack was the first point of the talk because it contained all the books described in the talk, I could then hand the books to the participants and let them get a feel for the volumes. Among the Christopher Alexander books, my current favourite is A Pattern Language, I get lost in it, trying to absorb the wisdom it distils. As a programmer I love to grow interesting, useful, nice pieces of sofware, but I also crave for places where I can sit or stand and let that growing happen. There is a great documentary about Christopher Alexander on YouTube: "Life cannot be produced from a drawing, life can only be produced from a process" (minute 3:40). Rufus-scheduler is a Ruby gem for scheduling pieces of code. You instantiate a scheduler and you tell it after how long you want a block of code to run or how often you want it to run. Many thanks to all the people that contributed to the development of rufus-scheduler. My Ruby coding is a long back and forth between those two terminals, write some code on the right, run one or more specs on the left, read the error messages, fix on the right... It happens without clicking, only keyboard interactions. I wanted to navigate immediately from an error to its location in its spec file. At first, I was thinking about letting the click on the spec/nasty_spec.rb:66trigger something but it would kill the "only keyboard interactions" joy. I came up with a custom Rspec formatter. @output << m << "\n"
Note how I require the source file containing the custom formatter, then ask for it via --format, ensure its output is piped to .errors thanks to --out and then fall back to my default formatter d (for "documentation") followed by nothing. The --out is only for the preceding --format. When running my specs, it will write down in a file named .errors the error locations in the specs. I can now navigate to the "== .errors" section and jump directly to the error in the spec. The next refinement will probably consist in mining each failure stacktrace for relevant file locations in the source itself, not in the spec source. Are there starting points? Certainly, the Illiad, the Epic of Gilgamesh and more. 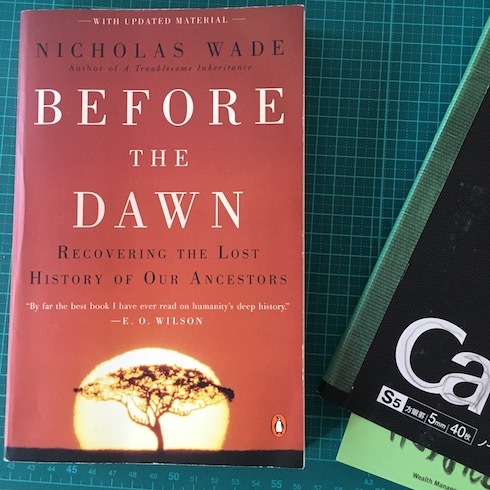 At some points in the history of litterature there has to be books that bridge between the Illiad and the I Ching (even before the Man in the High Castle). Then, all those who toil away at writing new books that echo the voice of the old bards. A man should avoid displaying deep familiarity with any subject. Can one imagine a well-bred man talking with the airs of a know-it-all, even about a matter with which he is in fact familiar? ... It is impressive when a man is always slow to speak, even on subjects he knows thoroughly, and does not speak at all unless questioned. There's not much personal appeal to a Z80 emulator, but many applications I've written have small, custom-built interpreters in them, and maybe I didn't take them far enough. Is all the complaining about C++ misguided, in that the entire reason for the existence of C++ is so you can write systems that prevent having to use that language? (...) Le blanc dans l'expression correspondait, je le crains, à un blanc dans la pensée. 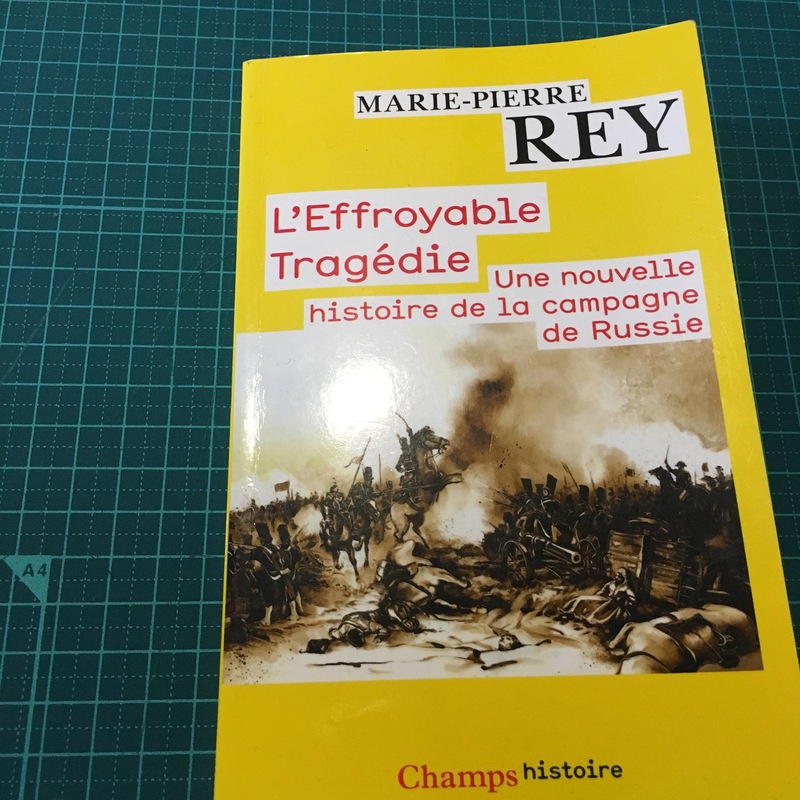 Car une impression globale et vague ne peut se préciser qu'à l'aide des mots, de leur distinction, de leur emploi délibéré et contrôlé. On pense avec des mots. On distingue les notions avec des mots. Le language est, en effet, l'instrument même de la pensée, et le seul moyen de lui donner des contours fermes." (...) The blank in the sentence corresponded, I fear, to a blank in the thinking. A global and vague impression can only be refined thanks to words, their distinction, their deliberate and controlled use. We think with words. We distinguish notions with words. The language is, in fact, the instrument of thought, and the only mean to give it a firm outline. Once I have my test, I go through a phase of analysis where I add print or log statements to see what is going on and find the cause of the bug. I run the test and add/modify the print statements in loop until I understand the cause. Once the cause is found, it's time for the fixing phase. Again, running the test and modifying the code, but this time until the bug is fixed. The next phase is running the test suite or a relevant subset of it to make sure the fix didn't break something elsewhere. The print/log statements introduced in the first phase are slowly discarded in the second phase. Sometimes they stay, but commented out. I like to leave commented out variants or explanations, for when I come back to the code in later developments or for fellow programmers. I find it tedious to fire a debugger and tinker with breakpoints. In the time necessary to do 1 debugger cycle, I think I can do 5 cycles of analysis (add print statements, run, analyse, repeat). Development is lots of debugging, so I treat debugging as development. Me, the editor, the code and its test suite. I don't use a debugger, but I know how to use one and I won't hesitate to use it if my debug routine is not effective in given circumstances. Debugger or not, the test reproducing the bug is a necessary by-product. He went further: "I had hired a young developer to make a tool for me. It was a continuous struggle to make him accept our needs over the needs he 'envisioned' for the tool. Each of his defeats were punctuated by a warning and an arrogant grin". "Fluff" is not tangible. If you accept the "what may be touched" definition for tangible, you might accept that fluff is "what does the touching". Stuff has only two states, "alive" and "dead", but stuff as it traces its arc from birth to death intersects with many fluffs. Fluff might intersect the stuff's arc or may parallel it for a while and then head away or vanish, or the stuff might vanish before the fluff. At first, I was tempted to oppose "tangible" to "intangible". Business entities would be "tangible", while business processes would be "intangible". "Tangible" means "may be touched", ok for business entities, now is "intangible" OK for business processes? I want to express "that does the touching", not "may not be touched". So no "tangible" vs "intangible".